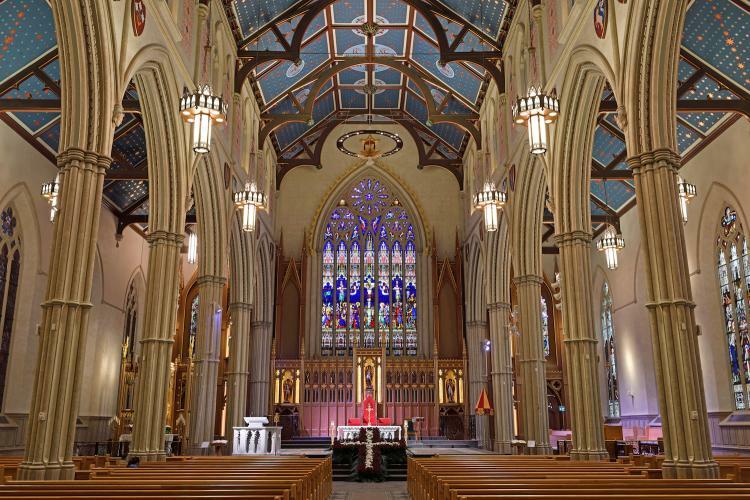 An extensive renovation of Toronto’s iconic 156-year old Catholic cathedral included new custom fixtures based on Manning Lighting’s standard French Gothic series. 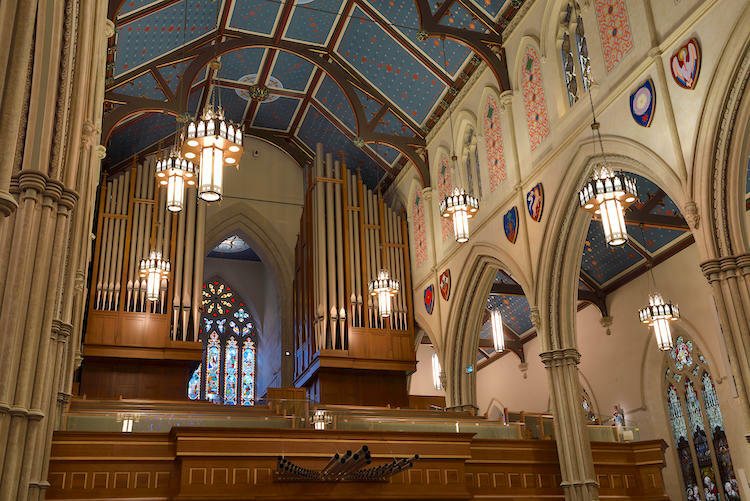 Manning’s design staff collaborated with the project’s architects and engineers to create UL-listed LED pendants that harmonize with the cathedral’s gothic ornamentation, yet dramatically improve light levels in the nave. The LED pendants have seven Cree downlight modules, six matching uplights, and LED arrays to illuminate the acrylic diffusers. All are powered by Lutron dimming drivers mounted inside the fixture. The result is ample illumination of the beautifully refurbished interior as well as greatly reduced energy usage and maintenance.